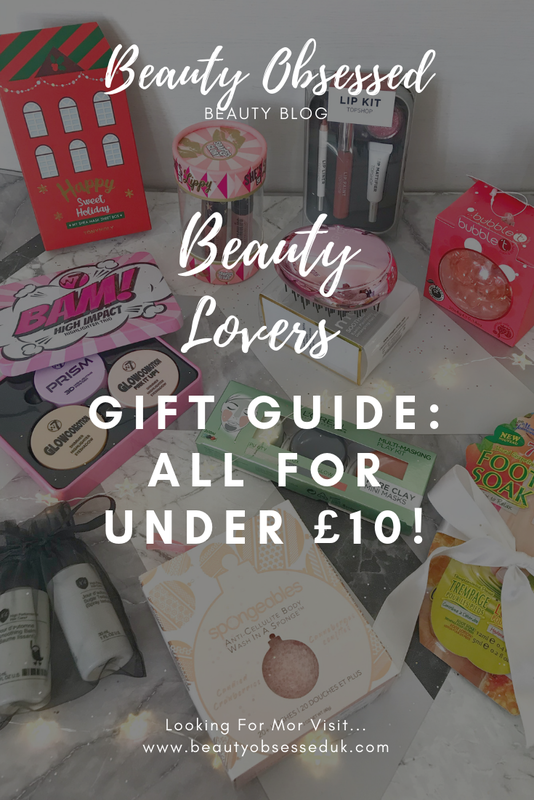 A Beauty Lovers Gift Guide: All Under £10! 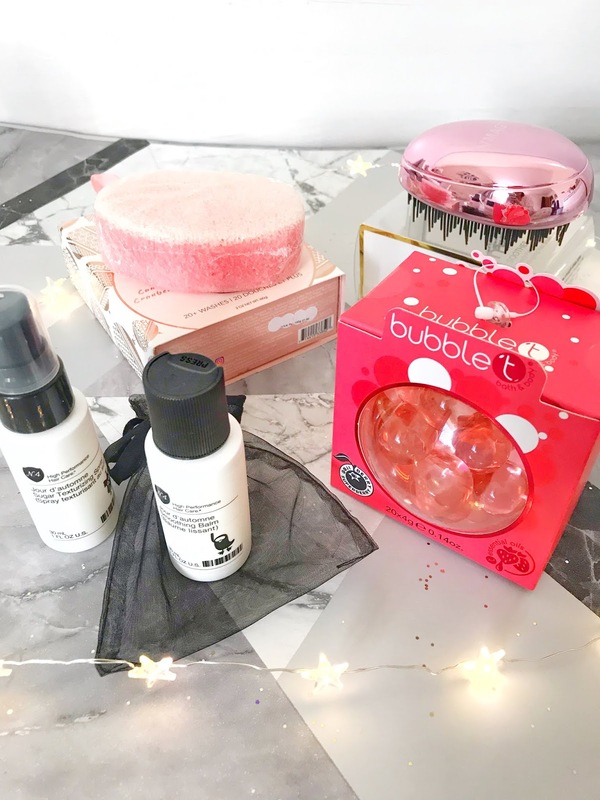 It is finally the time to start with all things Christmas, for a while now I have been putting together my Beauty Gift Guide. I wanted this guide to be affordable for everyone so all the items on this list are under £10 each. These gifts can be used to treat yourself, used in secret Santas or cute stocking fillers! The first item on my gift guide is this set of 3 mini highlighters from W7. I thought this would be a perfect gift for anyone that loves makeup, with this kit you get 3 different mini versions of bigger highlighters in the W7 range which are the Glowcomotion highlighter which I've mentioned before in my Makeup Must-Haves post, you also get the Glowcomotion Pink It Up and Prizim which is the prettiest duo chrome pink highlighter. This set is perfect for this time of year as the Christmas and New Years parties begin and you need an extra bit of shine in your life. Personally, I would buy this gift for myself because its just so pretty but any makeup and beauty lover would really love this gift. The price of this also is amazing as its so cheap and get a good amount of product in each highlighter. On the same trip to Tk Maxx, I saw this really great lip kit from Topshop beauty and when I saw that it was only £3.99 I picked it up straight away. This whole kit contains 4 different lip products including a lip liner, lip paint, matte lip topper and glitter. 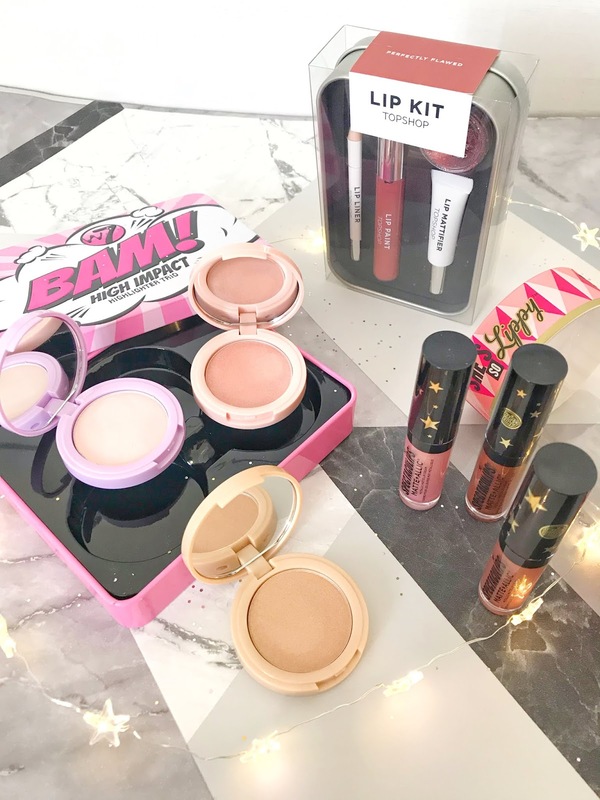 This lip kit would be perfect for anybody who loves lip products as you get a great selection of different products that you can use altogether or separately. The glitter is what drew me in instantly for this lip kit as its perfect for Christmas day and parties. The shade I got for this lip kit is Perfectly Flawed which is a perfect nudey pink shade which I think is perfect for all skin tones but this lip kit came in all different colours with different glitter shades too. 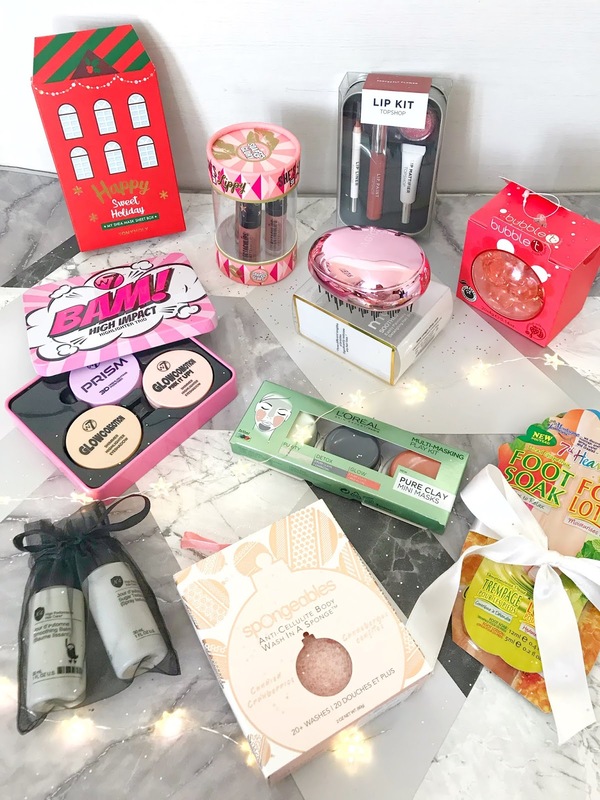 If you have seen some of my recent posts you will know that I recently received some amazing gift sets from Soap & Glory, you can read my full post on that here. In this set, you get 3 different Metallic Matte Lip paints in bronze, pink and rose gold shades. These lip paints would be perfect for the Christmas period as they are very glitzy. For all 3 of these lip paints, you get them for £8 where just one on their own is £10 so you are definitely getting a deal. As these lip paints are slightly out there I would probably gift this to someone who likes to experiment and play around with makeup. Tony Moly Happy Sweet Holiday Sheet Mask Box - Tk Maxx £6.99I was drawn to this little kit straight away because one, its Tony Moly and I've tried a few of their face masks before and loved them and two because it's fully Christmas themed. In this box, you get 5 different Shea butter face masks and they all have the cutest names including Thank you which helps to smooth dry skin with added Aloe Vera, Love You which is also for dry sensitive skin, Be Happy which provides rich moisture to the skin with added hyaluronic acid, Share It which Strengthens the skin and lastly Good Luch which helps with the skins elasticity with added Collagen. This whole set is perfect for anybody who loves sheet masks and skincare. This gift can also be broken up and given as smaller secret Santa or Stocking fillers. L'Oreal Multi-Masking Play Kit - Amazon £3.99I spend a lot of time just browsing through Amazon and was looking for things to add to this gift guide when I came across this little set which I thought would be perfect. In this kit, you get a small amount of the Purity mask which contains Eucalyptus, Detox which contains Charcoal and Glow mask which contains Red Algae which you can use separately or on different areas of the face for multi masking. In this set, you get to have a little taster of the masks which I think is a perfect stocking filler gift to give a real mask and skincare lover. For only £3.99 you get all three of these products but you can also get 3 of these kits for only £5.75! 7th Heaven Masks Collection - Amazon £5.00This gift set I actually put together on my own, I have loved 7th Heaven masks for as long as I can remember and my most viewed post ever was actually 'My Favourite 7th Heaven Montague Jeunesse Products'. 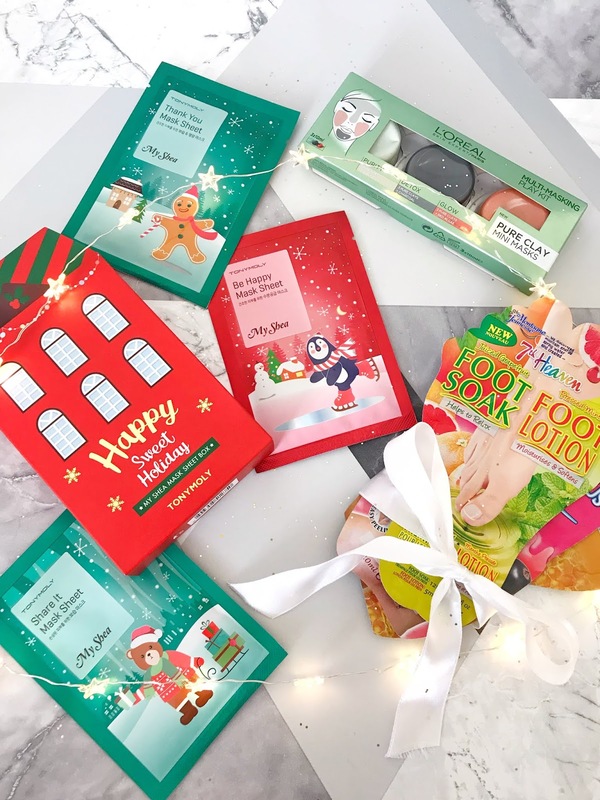 In this set, I have put together a foot product which includes a foot soak and lotion, the Bubblelicious Peel Off mask and the Manuka Honey Hair Mask, for this set to look for Christmassy I tied a bow around it! Having a look on Amazon you can actually buy an already made pack of products and all you need to do is package them in nice Christmassy ribbon and you're done! Another Tk Maxx purchase (I have to say they are great for gifts) but this time its actually a sponge with a twist. This sponge has the benefits of cleansing, exfoliating, massaging and moisturising the skin. The two sides of this sponge have different uses, the light pink side is for exfoliating the skin and the darker pink shade is for cleansing the skin. This gift would be perfect for anyone who loves body care items (which is everyone!) you get up to 20 washes with this sponge as well so the price is great. I actually think I might keep this gift for myself as it looks like such an interesting find. First of all, this product is an amazing steal for it only being £2.49. I've seen this brand around before which is actually a Tea brand which I haven't tried before but their body and bath products look amazing. In this little gift you get bath oil pearls you drop under running water and wait for the pearls to burst and release the oil for a calming bath. I would give this product to anyone who loves a good relaxing bath. This gift would be great as a stocking filler or could be added to a body and bath hamper. Detangling brushes are my favourite and I think they make perfect gifts for people. I saw this on another scroll through Amazon and thought it would be perfect to add onto this gift guide. This gift is actually perfect for anybody, long hair or short and can be used on wet dry hair. This gift would be a perfect addition as a stocking filler or just a little gift for yourself. This set I also put together myself, I spent ages trying to find the right hair care gifts that weren't crazy expensive so I decided to make this one myself. For this gift, you can use any mini or deluxe sizes of your favourite hair care products. I have them packaged them in a pretty bag. This gift would be perfect for anyone that loves haircare or people that like to try out new things. This gift would also be great for a small stocking filler for travel lovers! Christmas is my favourite time of year and I really enjoy gift giving but it can be stressful so I hope my gift guide makes it all a bit easier for you! What beauty items will you be getting this Christmas? These are some amazing ideas for people for Christmas! Great post! I particularly love those skincare products! This is great! Especially if you're trying to stay within a budget for the holidays. I'm really surprised some of these products are under £10 tbh! Some look far more pricey. I always appreciate gift guides like this because I much prefer getting lots of little bits for people. Really great suggestions here! Really great gift guide, all under £10 too, that's amazing! I love Soap and Glory stuff, I always end up getting some of their sets for Christmas! Such a good gift guide and a good price range too! Great post lovely! 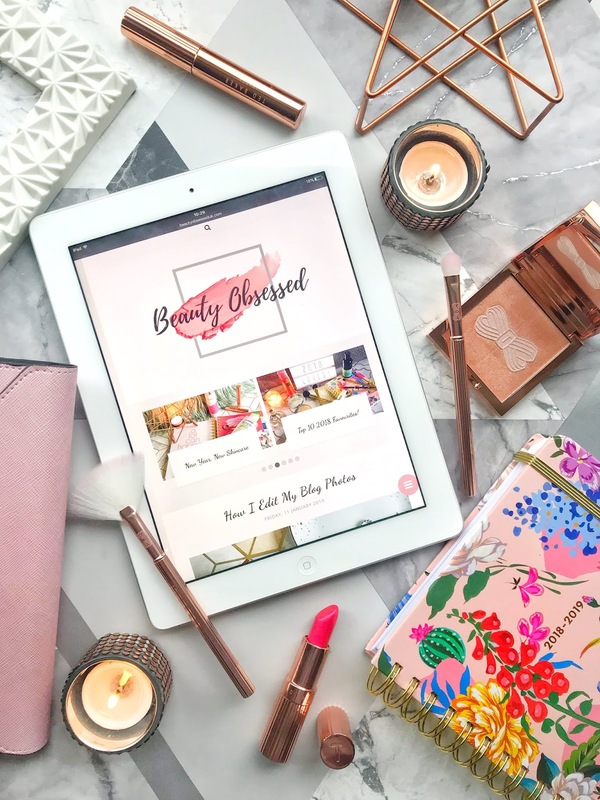 Unfortunately no-one in my family loves makeup as much as I do so I don't get the luxury of buying loads of products for them to test out but I might add some of them to my Christmas Wishlist myself! Perfume Samples Going On My Christmas List! Magazines Made Me Buy It! What's In My November Birchbox! 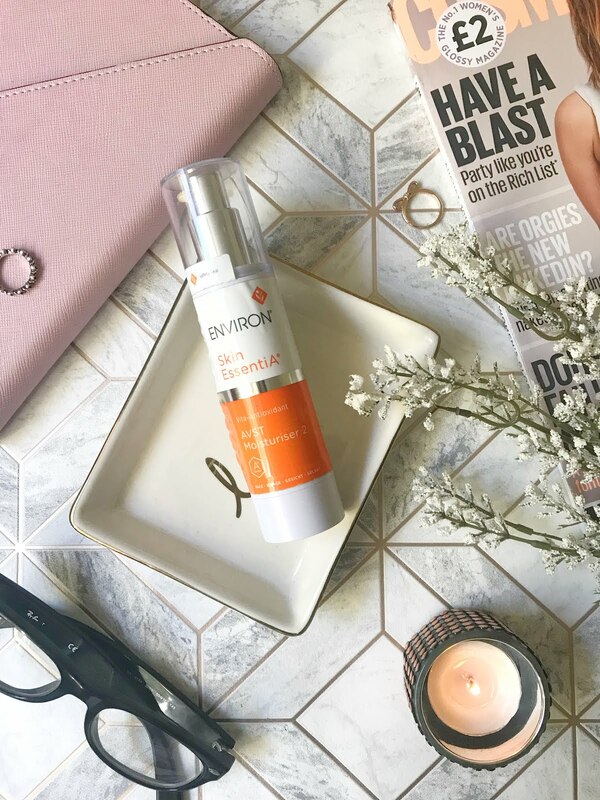 Do I Still Use The Products I Reviewed?